Pleasantly surprised with the quality & fit of this cost. Beautiful fabric, you cannot see it in the photos but it has a tiny check design which adds a classy look. The collar & pockets are fur lined, & has pretty accents. It is a more taylored design but not confining at all, very flattering! The fur trim on the hood is nice quality, & the hood is removable so it will stay nice. Definitely recommend this coat! 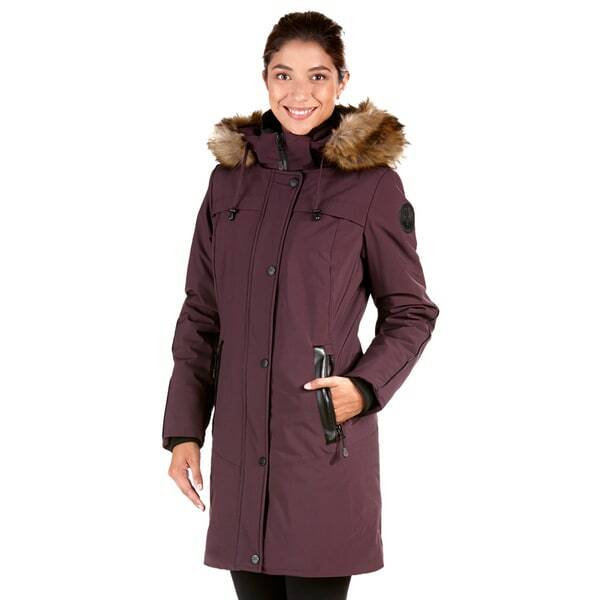 Face the elements with confidence in this warm and comfortable women's coat. Multiple zipper pockets allow you to tuck away necessities, and the water-repellent design keeps out snow and cold rain. I needed a nice heavy coat to wear on my business to Washington and Colorado in early Feb. It is very nice. I haven't gone on my trip yet but think this coat will keep me warm.